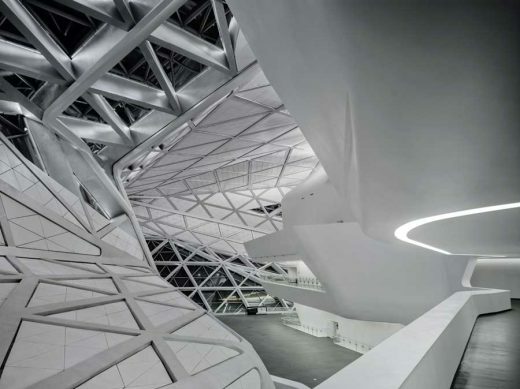 Like pebbles in a stream smoothed by erosion, the Guangzhou Opera House sits in perfect harmony with its riverside location. 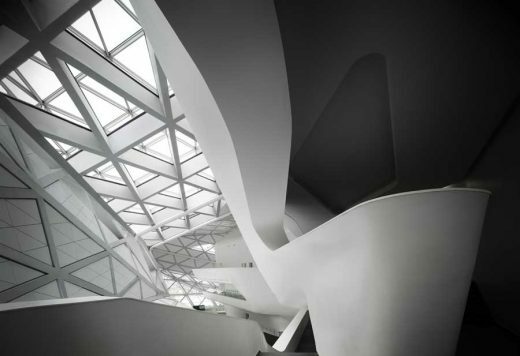 The Opera House is at the heart of Guangzhou’s cultural development. Its unique twin-boulder design enhances the city by opening it to the Pearl River, unifying the adjacent cultural buildings with the towers of international finance in Guangzhou’s Zhujiang new town. 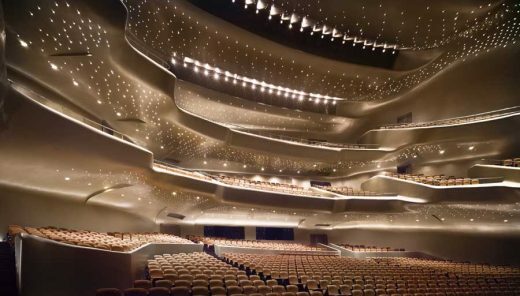 The 1,800-seat auditorium of the Guangzhou Opera House houses the very latest acoustic technology, and the smaller 400-seat multifunction hall is designed for performance art, opera and concerts in the round. 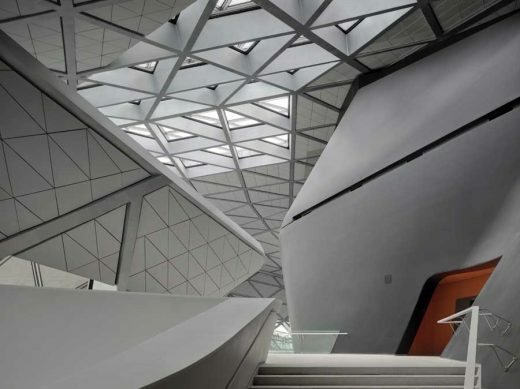 Fold lines in this landscape define territories and zones within the Guangzhou Opera House, cutting dramatic interior and exterior canyons for circulation, lobbies and cafes, and allowing natural light to penetrate deep into the building. 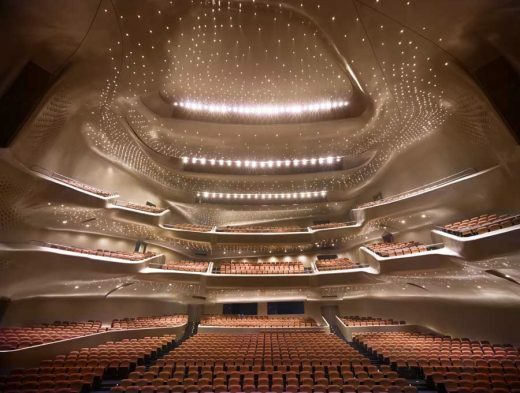 Overlooking the Pearl River the Guangzhou Opera House is at the heart of Guangzhou’s cultural sites development. 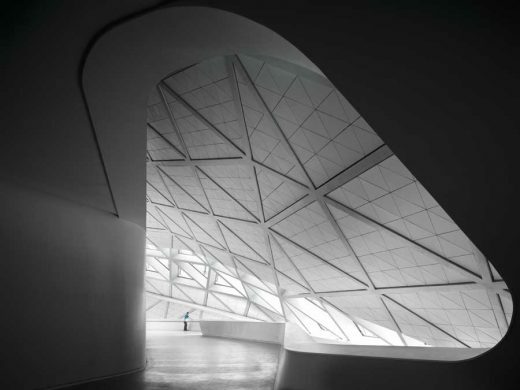 Adopting state of the art technology in its design and construction it will be a lasting monument to the New Millennium, confirming Guangzhou as one of Asia’s cultural centres. The unique twin boulder design of the opera house will enhance urban function by opening access to the riverside and dock areas and creating a new dialogue with the emerging new town.